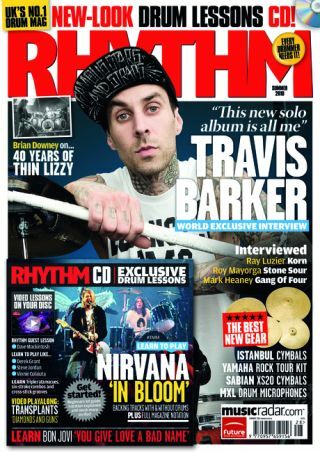 We track down the hardest-working man in drumming and find out all you need to know about his solo album, Can The Drummer Get Some, his eclectic CV and his hugely influential style. We also get an in-depth look Travis' set-up with his trusty tech and get the inside word on working with Travis from Tim Armstrong, Corey Taylor and more. All this and more in the Summer issue of Rhythm, on sale 3 August. Or you could order your copy from www.Myfavouritemagazines.co.uk.